When everyone is hundred percent sure that the markets can only rise up, that is the time to be cautious. If you attend investor meetings in various market cycles, you realise that there is a pattern in the questions. In a typical bear market, the questions tend to focus on challenges and risks, whereas in a bull market, the focus shifts to opportunities. 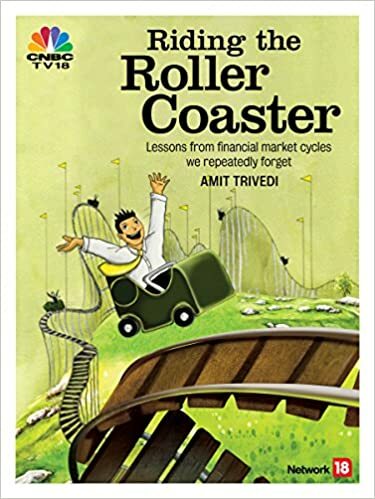 A good story is seen with suspicion in a bear market under the influence of fear and doubt, whereas questions are set aside when greed takes over – a typical bull market. It is important to understand that in all market citations, there are opportunities and challenges. However, neither can be controlled by individual investors or advisors. We can at best take advantage of these. Or we can protect ourselves from the negative impacts of these. That is possible only if we focus on what is in our control and what is not. Read the “Serenity Prayer” (Page 199 of the book) and the subsequent discussion. There are many small stories in the epic Mahabharata. In one such story, a beggar comes to the Pandavas asking for some help. They are in the midst of a discussion, and Yudhisthira, the elder brother, asks the person to come the next day. Hearing this, his younger sibling, Bheema reminds Yudhisthira of the audacity of assuming that he would be alive tomorrow. This story highlights the importance of understanding uncertainty associated with the future. However, we have always wanted to know the future. Often, the experts get swayed by the same emotions and get their forecasts wrong. Rises and falls in market prices are inevitable. They are part of the nature of the open markets, wherein a large number of people can come and transact, based on their perceptions and opinions.